If your business is hosting local server solutions for email, website, or other workloads, it might be time to look towards the sky. Cloud computing has become one of the essential new technologies for businesses to take advantage of for prime efficiency, reliability, and overall cost reduction. The journey doesn’t have to be a frightening one either, with the help of the team at Charm City Networks in Baltimore, your migration to the cloud can be a quick and painless transition. 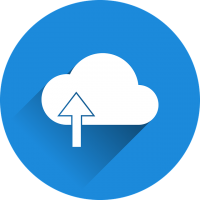 Cost reduction is one of the key benefits when considering your business’ migration to the cloud. With local databases and servers, your company is responsible for upgrading and maintaining its technology. However, when your organization takes advantage of cloud computing, the host organization, such as Amazon Web Services (AWS), takes on those burdening and costly responsibilities. No more high maintenance costs or the need to continually upgrade your computing hardware when you migrate to the cloud. Additionally, the cloud allows you to pay for its usage in diverse ways, including only being charged when your business is utilizing the systems. If your organization has large computational projects, using the cloud is an excellent way to continue using the latest technology, while only paying for time used. Why maintain a complex computer array when you can opt for a more efficient and cost-effective solution in the cloud? Charm City Networks is here with you as your business grows over time – luckily, so is the cloud. Utilizing cloud technology means that your organization can readily call upon more storage or computing power when the time is needed. Better yet, you can opt to scale your resources only when they are required to save the most amount of money. Easily keep your computing costs low at night or during other situations where the hardware won’t be utilized. The cloud migration process can be daunting, but with the help of the expert team at Charm City Networks in Baltimore, your business can move to the cloud, allowing for better results at a lower cost. Whether your organization is considering AWS or Azure, or have no idea what either option entails, contact our team today to discuss the perfect solution for your organization, and let us guide you through the process. Thinking about physical security, picture the server in your office. It may be in a closet or storage room, or may even be more secure than that. But, is it as secure as a fully-managed Tier 4 data center with multiple locked doors and 24/7 security personnel? Cloud takes security a lot more seriously than you thought. Credible cloud platforms are already compliant with commons standards such as HIPAA, PCI, ISO 27001, FIPS, NIST etc. Cloud computing allows companies to scale up or scale down the services implemented with great ease and flexibility eliminating the need to plan and acquire own infrastructure to cope with the sudden influx of demand. The cloud model dictates that all types of potential failure are considered, whether that be related to hardware, timeouts, failover faults or network problems. Multiple copies of data are maintained for you, so if any machine fails your whole system can continue to function without the cost of extensive downtime. With the cloud, you have the ability to lower capital expenditure by not having to purchase and maintain expensive hardware. A cloud service provider can host your data on their own high performance systems, and you will no longer have the expense of maintaining and upgrading them either. Instead, cloud users can concentrate on improving their own products and services. In addition, there is also the potential to either reduce headcounts in areas of server and application management, or to re-allocate those staff to research and development or more strategic business roles on the technology side.